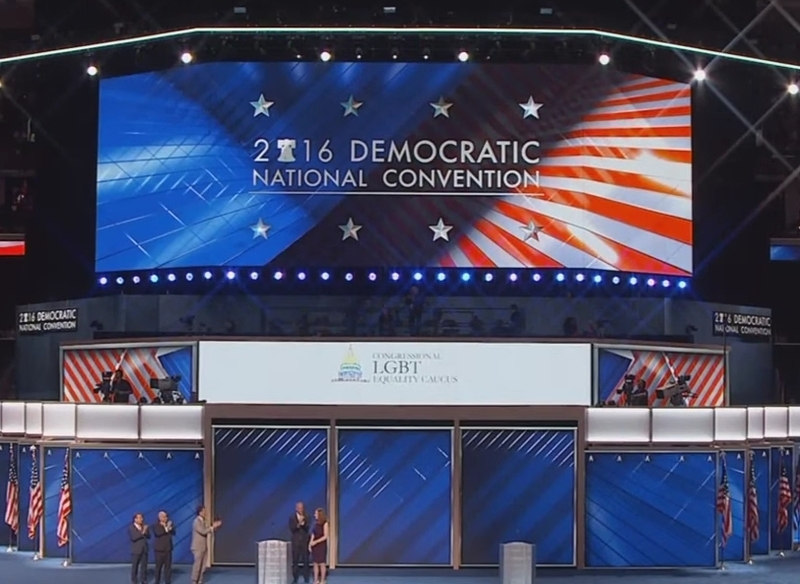 PHILADELPHIA — History was made Thursday night at the Democratic National Convention, when Sarah McBride became the first transgender American to address the DNC. "My name is Sarah McBride, and I am a proud transgender American," she declared to the audience, which welcomed her with sustained applause. McBride is one of nearly 30 transgender delegates at the DNC. 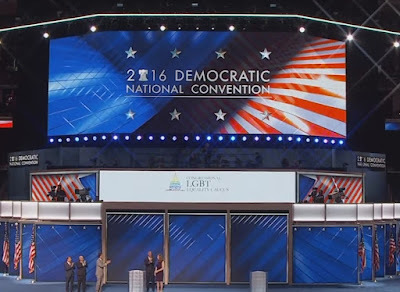 She was introduced by gay members of Congress, including Rep. Sean Patrick Maloney of New York, who in his introduction declared, "Sarah, it's about time" a transgender person spoke at the DNC. McBride told her story about coming out as transgender while serving as student body president of American University. Still, McBride said that there is still work to do for transgender Americans to be accepted. She urged Americans to vote for Hillary Clinton, who she said understands that "everyone has the freedom to live openly and equally." McBride said her belief that Clinton needs to be elected grew stronger after the death of her husband, who died of cancer at the age of 28 just four days after they were married. "Knowing Andy left me profoundly changed," McBride said of her late husband. "But more than anything else, his passing told me that every day matters when it comes to living your life to the fullest." Sarah McBride addresses the 2016 Democratic National Convention in support of Hillary Clinton. This was an amazing first. MY Note: She finished her speech by saying: "Today in America, LGBTQ people are targeted by hate that lives in both laws and hearts. Many still struggle just to get by. But I believe tomorrow can be different. Tomorrow, we can be respected and protected." She added: "Especially if Hillary Clinton is our president. And that’s why I’m proud to say that I’m with her."